The only monument to the actual park is a plaque (pictured above) that is located on the north-west of the four towers. Home plate on the plaque actually faces the wrong direction. If you are looking directly at the plaque from close up, you would actually be standing in the lefty batter's box. 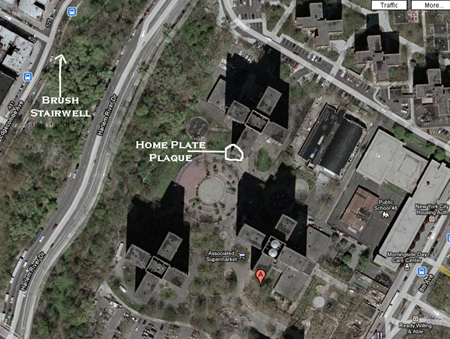 Just to the west of the Polo Grounds Towers which replaced the park is the Brush Staircase. 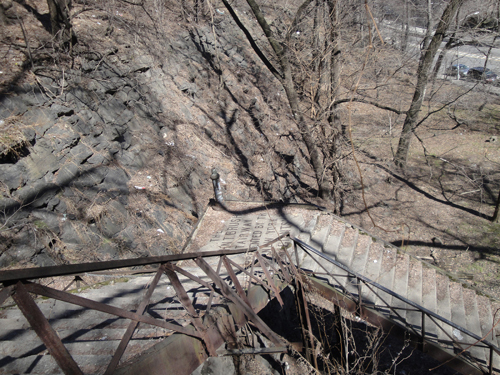 This staircase was built in the early 1900's to allow residents of the neighborhood on the other side of Coogan's Bluff to access the Polo Grounds easily. It is still there today, but is in a state of disrepair. A few years ago, there were some articles that the SF Giants, the Mets, Yankees, NY Giants and Jets had donated money to the city for a repair. As of March 2010, no repairs have been made. When I visited, the stairwell was fenced off and un-passable. One of the legends of the Polo Grounds was Coogan's Bluff. 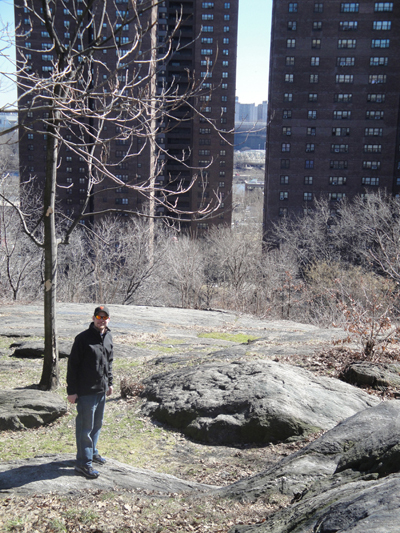 This was an elevated area just to the West of the park. It was high enough that people could stand on the rocks and see the game below without paying admission. This is a closeup of the two buildings in the previous picture. 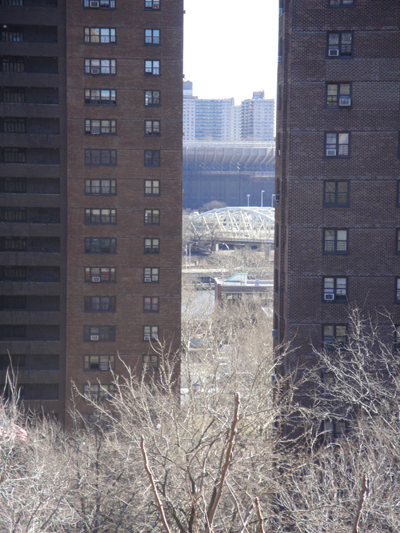 Between the two towers, you get a glimpse of the old Yankee Stadium. One month after my visit, that view is no more. Yankee Stadium has just a few pieces of it still standing and will soon join the Polo Grounds in the list of extinct ballparks. If you do look just to the left, you can actually see the new Yankee Stadium. 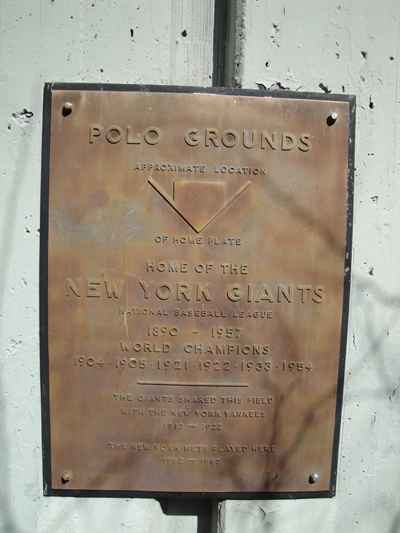 You can see these and more pictures of The Polo Grounds' Remains at StadiumPage.com. I loved this post...thank Eric! I kick myself for not going during my New York visit. Lets hope they preserve this site.